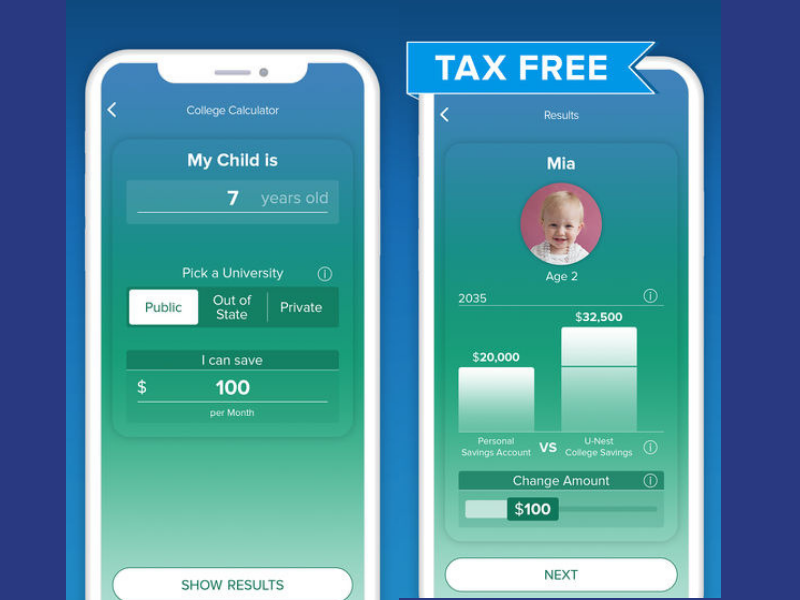 There’s an app for just about everything, so why not have one that helps you start saving for your kid’s college fund? Whether you are saving for your own children, grandchildren, nieces or nephews, it’s a lot easier to take those small steps when you have the right tools. U-Nest is an app that can help you do just that! 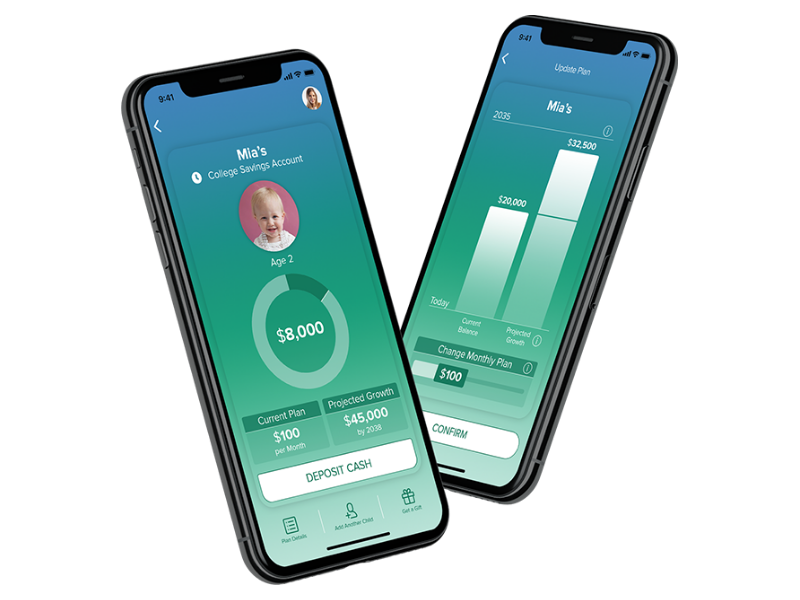 U-Nest helps you manage and save money so the task fits into your lifestyle and budget and you can keep track of your investments so you know if you’ll be ready when the big day arrives. The app basically helps you set up a 529 College Saving Plan account for each child. U Nest has an extremely easy to use interface which helps you set things up and keep on top of the changes. The setup is simple. Just add an account for each child along with their ages. After that, you enter information about yourself, as the owner of the account. Once that information is in the app, the app will be able to provide advise on how much to invest per month and how to invest it. Each account will have a $3 fee per month to cover the costs of managing the money. After you have selected a plan for each account, you will need to add bank account information so funds can be deposited easily. Based on what you configure, funds will be deposited from your bank account into the appropriate 529 account. The minimum investment is $25 per month. As the user, you get clear and concise graphs showing growth and how far you are to a goal. The graphs are intuitive and easy to read. They offer suggestions on what you may need to change if you are falling behind. If you are ahead of the game, it may even tell you to slow down your investments, because you are close to your goal. This may help you make choices when it comes down to choosing between one school or another. Easy management of each account is one of the biggest advantages to U-Nest. Now, you don’t have to be on your laptop or desktop to see what’s happening in your 529. It’s right in your hand. The app developers have also embedded built in encryption, so all of your sensitive information is safe, which is of utmost importance. Once you have chosen the plan for investment, certified financial planners from Invesco manage and optimize the investments, ensuring that your funds are invested in the best possible way to get you to your goal. What would be nice to see is a report sent out periodically so you can see what’s happening with all of your accounts at a glance, without having to open the app. As a quick and easy way to get you to saving for your children’s future, U-Nest is a great way to start. Check it out now and tell us what you think. Steve August bought an iPhone in 2009 with no idea what it could do to him. Now he is into the world of mobile applications, specializing in writing iPhone app reviews. He writes for AlphaDigits, a website that also publishes Android app reviews. Follow Steve on Twitter or connect with him on LinkedIn.